This year, like every year, Kingston School of Dance put on a beautiful performance. The story this year was Paris in the 1920s. Coco Chanel even makes an appearance! Meet Jolié, a country girl from the village of Bourges who seeks a dance contract at a famous Cabaret in Paris. Through her eyes we will experience the wonder of the Eiffel Tower and a mischevious encounter a Notre Dame. Watch the playful Bonbons at Ladurée and dance through the flower market in the Marais Quarter. Meet Coco Chanel; ooh la la!! Paint with the Artists of Montmartre and take a stroll along the Seine. We will marvel at the shimmering jewels of Cartier and mime with the Pantomimes at the Metropolitan. In the coda we pay tribute to antiquity at the Louvre. 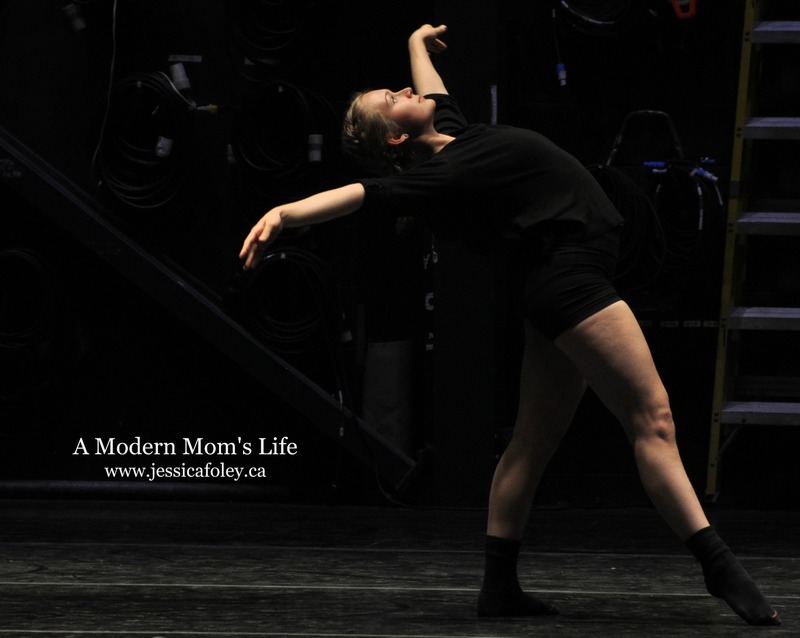 Act 2 shows off all the other dance styles – jazz, latin jazz, tap, contemporary, acro, and every other style that is not ballet and that Kingston School of Dance teaches. My girls loved performing in the show this year. Rose was a bonbon in Act 1 and Emma was a painter in Act 1 and a beautiful contemporary dancer in act two. They had a blast being on the “big stage” at the Grand Theatre. This was Rose’s first year performing! Some of the “big girl” dancers (as we call them) graduated this year. Obviously this happens every year, but this year girls we really knew have danced in their last KSD performance. Gillian was Emma’s teacher for the last few years in her contemporary class. Emma looked up to her like crazy – and she is a super nice kid to boot! I snapped this picture of Gillian at rehearsals. And (another) Emma actually taught my ballet class a few times when Ebon was unavailable. She is a beautiful, graceful dancer, and a good teacher. I hope these young ladies continue to dance in their future endeavours at post secondary education. They look like what I aspire to in the world of dance. I am really hopeful for my girls dancing futures. They both want to continue, with Rose asking if she can take 2 classes this fall. We’re going to put her into acro (which is almost a cross between gymnastics and dance) along with her basic ballet, and Emma is going to stick with ballet and contemporary. I want them to keep going as long as they enjoy it.